The 8 tier hanging dry net features a collapsible mesh that consists of eight large compartments to dry plants, herbs, and similar items. When not in use, take advantage of easy storage by condensing the net into a flat surface until next use. The collapsible feature makes it easy to flatten the net without damaging. 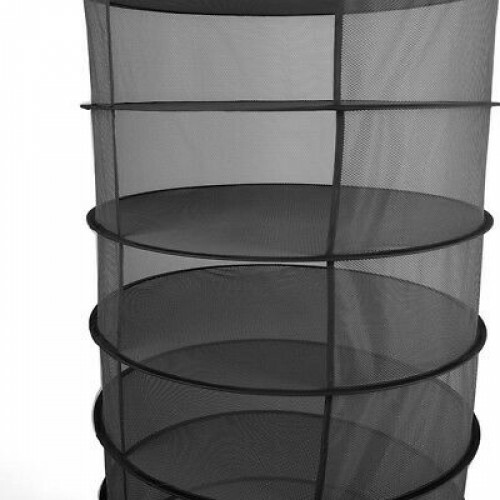 The 8 tier hanging dry net is your answer to drying those large quantities of flowers, greenery, herbs, and other similar materials in a tiny or large space. The net conveniently opens into a tall drying component boasting 8 large areas for drying your plants, shrubs, herbs or garden products. The attached strap makes it easy to hang the net from a hook or latch. There is no need to worry with moisture being transferred from the plants to the net, as the mesh material is non-absorbent and prevents the development of mould. This material is made with large holes which allows for the quick transfer of air and promotes complete drying of the net. During use, suspend the 8-tier hanging dry net from a hook or latch that is secured to a standing pole or component with a clearance of at least 5ft from the surface of the floor. The net should be secured by hanging it from the latch or hook utilizing the attached fabric strap. You will notice that the strap extends outward similar to a concertina. The sides of each compartment are netted to ensure that all plants, greenery, herbs, and similar items are secured inside its assigned compartment. Make sure that plant material is spread sparingly throughout each compartment. Keep in mind that large amounts of damp materials are an ideal breeding place for mould and bacterial build-up. After each use, remove the 8-tier hanging dry net from the latch or hook and collapse it until it’s flattened. 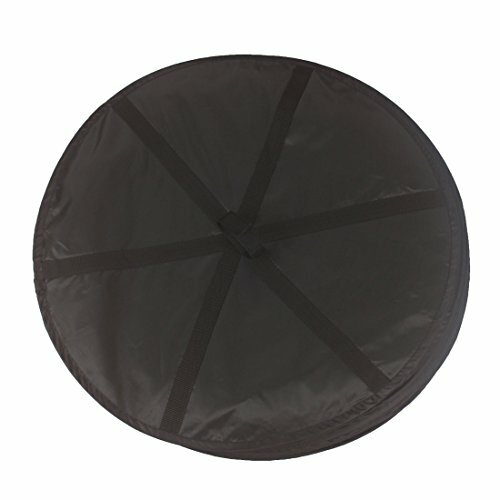 The net transforms into a round ring when collapsed for easy storage. Please note that the 8 tier hanging dry net is made with quality material that will not harm or damage plants, flowers, herbs, and other greenery. It is recommended that the net be collapsed and stored away when not in use to take advantage of an extended lifespan.